Gin is a spirit forever synonymous with the Big Smoke. Like tea & biscuits, bacon & eggs, Holmes & Watson. These two go together like the best of them. Gin has walked a long and winding road with London. From the days of despair during the gin craze to the wonderment of the modern gin renaissance you can’t keep these two apart, and well, why would you? The Gin Journey London takes you through some of the world’s finest cocktail bars, you’ll visit one of the capital’s ground breaking distilleries, be supplied with London’s tastiest gins and most of you’ll have a lovely time. We run the Gin Journey in both Shoreditch and Bermondsey. They are similar tours, you just get to see different parts of London and try different gins. So it means you can do the Gin Journey London twice. Happy days. 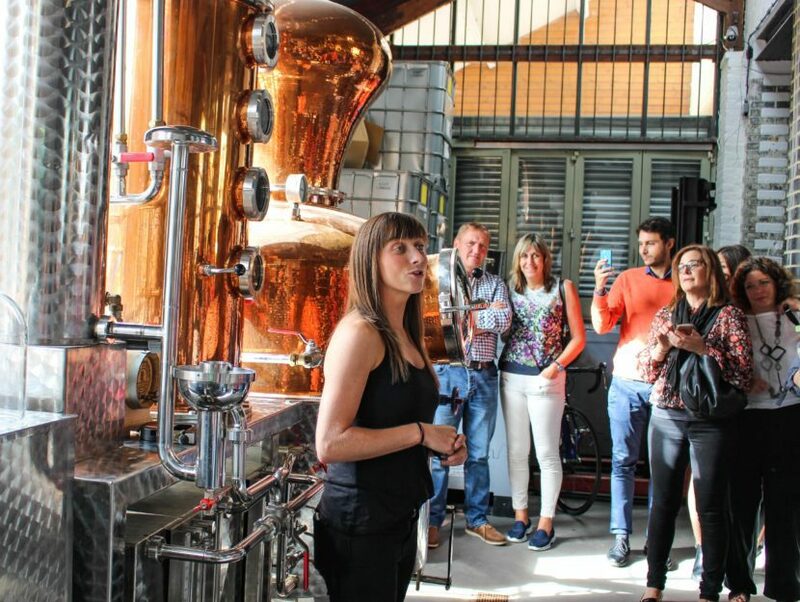 The Gin Journey London is both a midweek and a Saturday event. During the week it starts at 18:30 and finishes at round 23:00. On Saturdays we begin at 14:00 and finish at 18:30. Roll on the ginny good times. Food is available on every tour but not provided. You are informed of your meeting point a week before the event. The tour includes 5 samples of gin, 5 cocktails, in 5 amazing venues a chauffeured drive from bar to bar, a distillery tour and a ridiculous amount of fun.